Image courtesy of Birthright AFRICA. We speak with one of the program's creators about its mission, growth and why connecting Africans in the diaspora to their heritage matters. 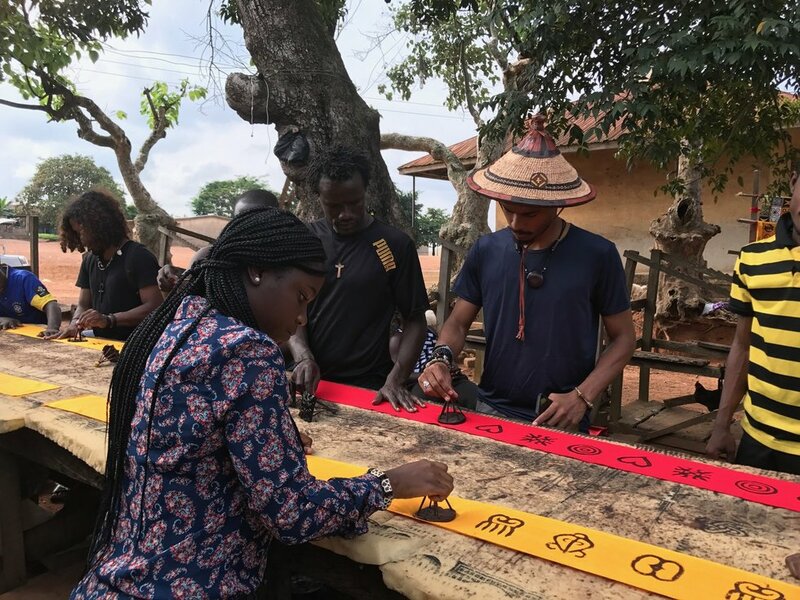 Birthright AFRICA is a program dedicated to helping black people outside of the continent reconnect with their African roots. 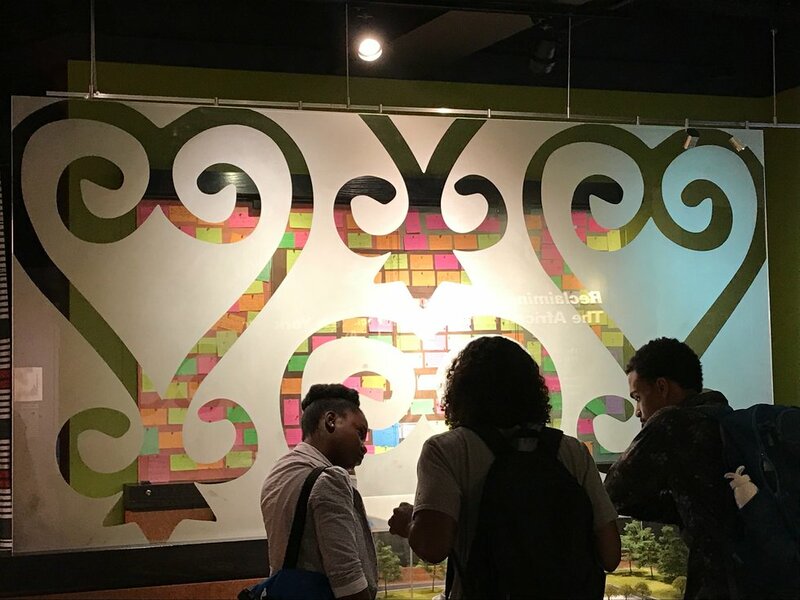 The project, founded and helmed by Walla Elsheikh and Diallo Shabazz wants participants to have transformative, immersive experiences that connect young black people to their heritage and history. 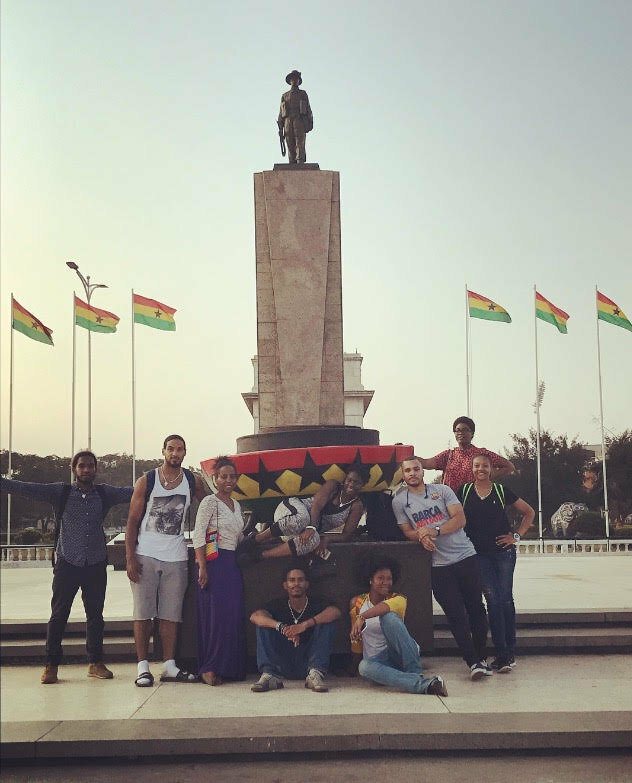 Last year, Birthright AFRICA helped send a group of college students on a pilot trip to Ghana, and the results are what Elsheikh describes as "life changing." Next, the creators want to expand Birthright AFRICA to make it a globally recognized experience available to black people across the diaspora. We spoke with one of its creators, Sudanese-American educator Walla Elsheikh about the program's mission, its growth, the power of reconciliation, and how others can get involved in ensuring that people of African ancestry throughout the globe finally receive their birthright. What led you to register the domain name for Birthright AFRICA years before the program had even started? When I learned about Birthright Israel, I said, "Wow, why isn't something like this happening for black people, for the people of African descent to connect with the continent?" I was going through my own understanding of how much I didn't know about my history as a person of African descent growing up mostly in the US, and having Westernized education, all my life. There's so much more to the story of who we are as a people, in terms of the great civilizations and kingdoms and queendoms that our people developed—the science, the technology, the arts, the culture. But unless you had that parent at home that really got you to read or share those stories with you, you don't know this information, you don't know this history. I told myself "I want to bring others along on this journey of trying to discover who they are, and so, I came up with the concept of Birthright AFRICA," and went to see if anyone else had already started it. While there are groups that are already going to the continent, a lot of times you have to pay for it and it's a barrier, especially for those without the money, we're looking to build a system of organizations to make it a reality. How has the program grown since you first came up with the concept? Where is it now? Because I wanted to really make sure I understood what I was doing and develop myself professionally to be able to lead this mission, I actually jumped into the education sector first and have worked within it over the last 10 years, knowing I could bring all that understanding to how to build Birthright AFRICA and essentially that's what I've been able to do the last couple of years. We piloted the program for the first time at City University of New York last year. I identified the space of college and career readiness and learned that we were developing young people for this 21st Century economy that's really driven by creativity and innovation. A big part of that is helping young people understand the skills and knowledge that they need for that. I tied it back to having an understanding of who we are, of our legacies as people. And for people of African descent, those are really the stories and the narratives that are missing for us, to understand not only historically, but also present day. As part of the program, you explore cultural sites, museums and universities to hear from professors of African studies, African American studies, and Black studies, but we also visit innovation partners, and these are organizations owned, managed or led by people of African descent. To be clear, you encourage not only African Americans who don't necessarily know where exactly in Africa they're from, but also "first generationers" to participate in the program as well? It's anyone who identifies with being of African descent, so it is your African Americans, Afro-Caribbeans, Afro-Latinos, Afro-Europeans, or Afro-Asian. I represent that first generation continental African who grew up in the US. My parents are from Sudan, but I didn't grow up there, so I feel very much disconnected as well. Unless you got to go home every summer, or your parents took you to a specific school that really allows you to gain a sense of history and culture, you don't have as much of a connection. Just like me— particularly because we had political asylum, and we couldn't go back. The program is definitely targeted to first generation Americans of African descent as well. The inaugural trip to Ghana took place last year? Yes, it was a pilot trip with scholars. Myself and Ashley Johnson, our first participant as a Founding Fellow, went in October 2016 to lay the groundwork and essentially test out what 10 days would look like, where we should be going, who we should be trying to meet at these different locations, and building relationships to ensure we could come back and be able to execute the mission. What was the response like from the students that went on the 10-day trip, how did it impact them? It was life changing. Many had all the misperceptions that most of us here receive through the media: Africa is underdeveloped, disease-stricken, overcome by war and poverty. What was really inspiring and joyful for me though was seeing how the local community embraced them. The Ghanaian people really wanted to engage with them. That is another one of those myths, the idea that since they're Americans and they're Africans, there's going to be this barrier. It was completely the opposite. That was really thrilling to see. There were a lot of eye-opening moments, like, "Oh my goodness, this feels like home," for those who were Afro-Caribbean. Literally landing there, they were like, "Oh, this could be Jamaica." We went to Kumasi, there's an Ashanti Kingdom and when you go there, they have a museum and effigies of the Kings and Queens. There we learned that the flag colors of the Ashanti are the same as the Jamaican flag. One of our young people his name is Geno Ware and we found out that one of the Ashanti leaders was King Ware, spelled the same way as his last name. That blew his mind. In Ghana, the day of the week that you're born is also considered part of your name, so his was Kofi for Friday. By the end of the trip, he went from being Geno Ware to Geno Kofi Ware. Another young person said one of the kings looked like her late father, so she was in awe of that. Those are the kinds of things and connections you have to get there. It's life changing and literally everyone had their version of that moment. That vision that we have for them was also solidified. We asked them if they felt more confident and they now all feel like they have more resources and belief in themselves to pursue their career and life aspirations. I feel like we're seeing this conversation come up more and more now, especially with movies, like Black Panther, about reconciliation between African Americans and Africans on the continent. I'd like to hear from you where exactly you think this program fits into this broader conversation that's happening? Absolutely. The timing of Black Panther couldn't be better. One of those fears is if we are going to have folks who really want to connect and are not phased by this historical narrative of how there's a disconnect. Our generation particularly, we grew up with each other more and are more connected through technology in a way that our parents weren't, as the movie showcased, and as we at Birthright AFRICA see, the desire to connect to African roots and legacy are very strong in the diaspora and we exist to help make it happen as a birthright at no cost. "It's not a surprise to me that Black Panther is also this diasporic effort. I loved that component. I loved the way the movie also highlighted science and technology and that innovative spirit we have as a people. What are practical ways that people can help or get involved to make sure that the program expands and grows. How can people help? How can people get involved? We are positioning ourselves to create this ecosystem of individuals and organizations that want to support expansion. So, if you are connected to an educational organization, whether it's a university, a college, a community-based organization that is serving youth and young adults of African descent, let us know. Were looking for people between the ages of 13 to 30. If you have an interest in bringing this birthright opportunity to those young people, we want to collaborate. If you are a leader or entrepreneur of African descent, founded your organization or you're in a management leadership position at a corporation, let us know about what you're doing, so we can highlight you as an innovation partner and have you interact with the young people because they need to hear from you. If you are someone connected to the philanthropic community that is looking to serve youth and young adults of African descent, reach out to us, we have the platform where you can sponsor and we can highlight you as a funding supporter or founding support to the Birthright organization. Obviously, any individual can donate. Our website is BirthrightAfrica.com. Follow us on Facebook, Instagram and Twitter. We're also on LinkedIn. We have a campaign to raise $50,000 for this coming year's cohort. We plan on taking 10 students from CUNY and we want to work towards expanding to high schools for next year in New York, and also expand to the D.C. area. If you represent or are working with African governments we would love to engage the ministries of diaspora affairs, the ministries of trade and tourism, presidents of those select African nations we know we can make the birthright journey to. Part of what makes Birthright Israel sustainable is that they're getting funding from the government. If we can really get that pride and that consciousness happening at the earlier stages, countries on the continent will have future tourists, vacationers, business men and women as well as trade and investment for eternity. Lastly, what, if any, is your relation to Birthright Israel? In some parts of the world Birthright Israel is seen as endorsing Israeli policies. There is no connection between Birthright AFRICA and Birthright Israel. The issues you raise are also very important to our board of directors, and we have been discussing how to incorporate these topics into our program which prepares participants to become global leaders. We adopted the name Birthright AFRICA because its an accurate description of the ancestral connection we are trying to create, and because Black people throughout the diaspora have earned it. Featuring Simi, Stonebwoy, Riky Rick, Olamide, Wizkid, La Même Gang and more. Every week, we highlight the cream of the crop in music through our Best Music of the Week column. Here's our round up of the best tracks and music videos that came across our desks, which you can also check out in our Songs You Need to Hear This Week playlists on Spotify and Apple Music. Follow our SONGS YOU NEED TO HEAR THIS WEEK playlist on Spotify here and Apple Music here. Check out all of OkayAfrica's new playlists on Spotify and Apple Music.